You can’t talk about Memorial Day Weekend without mentioning outdoor cooking, grilling and picnic food. This year for Memorial Day weekend, our three grandkids, ages 7, 5 and 3 will be spending two nights with us. We’re not worried about the two older kids spending a few nights because they’ve been here many times, but I’m not so sure if my youngest grand-daughter Iris will last the 2 nights but we’ll see. Papa will take Eliott, (7 years old) to the softball diamond a few minutes from our house, to get in some extra practice time and grandma will stay home with the girls to play beauty shop or to sit on the dock and watch the ducks. In a few years they’ll be old enough to go out on the paddle boat. It warms my heart to watch my grandkids enjoying summer days at the lake. Memories they can take with them and remember for the rest of their lives. This year we are going to try out our new pie irons. We bought them a few years ago but haven’t used them yet because we really didn’t think the kids were old enough until this year. 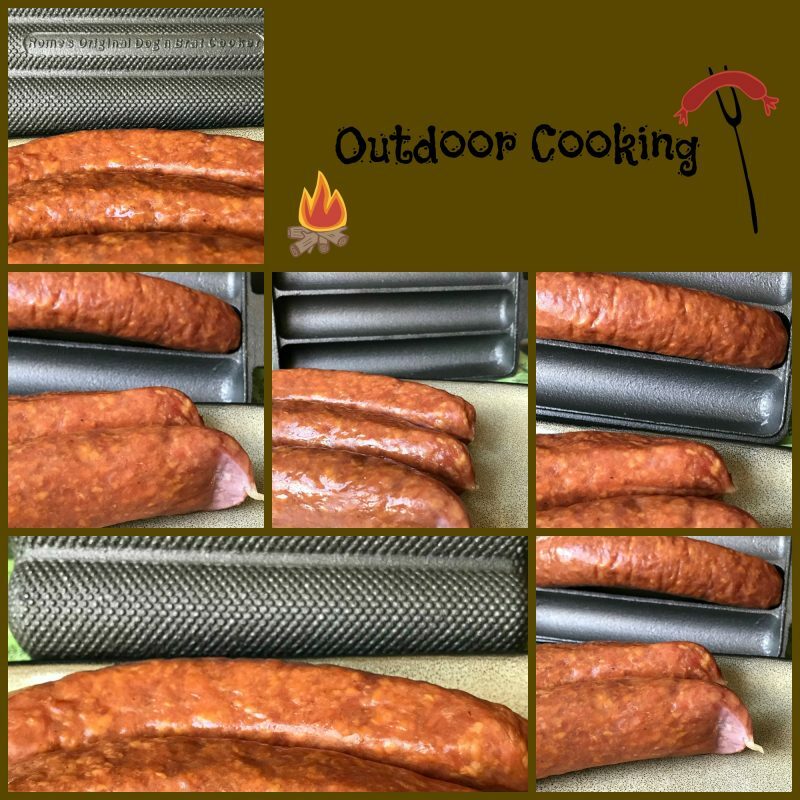 We purchased our pie irons on Amazon from Rome Pie Iron in 4 different sizes; square pie iron, wilderness hamburger griller, double pie iron and the dog n’ brat/cornbread cooker. The original since 1964. What are pie irons? If you are a girl scout, boy scout or have been to camp or went camping, chances are you already know what a pie iron is. A pie iron is a way to cook grilled cheese sandwiches, fruit pies and many other tasty treats over an openfire. This is done by placing two pieces of buttered bread in the pie iron and adding cheese, pie filling etc. inside the cooking compartment. The cooking compartment is formed by two metal casting that hook together using a hinge. Metal rods with wood handles extend from the castings so the user can easily maneuver the pie iron over a campfire. A few minutes over the fire and a perfectly toasted sandwich or pie emerges from the metal cooker. 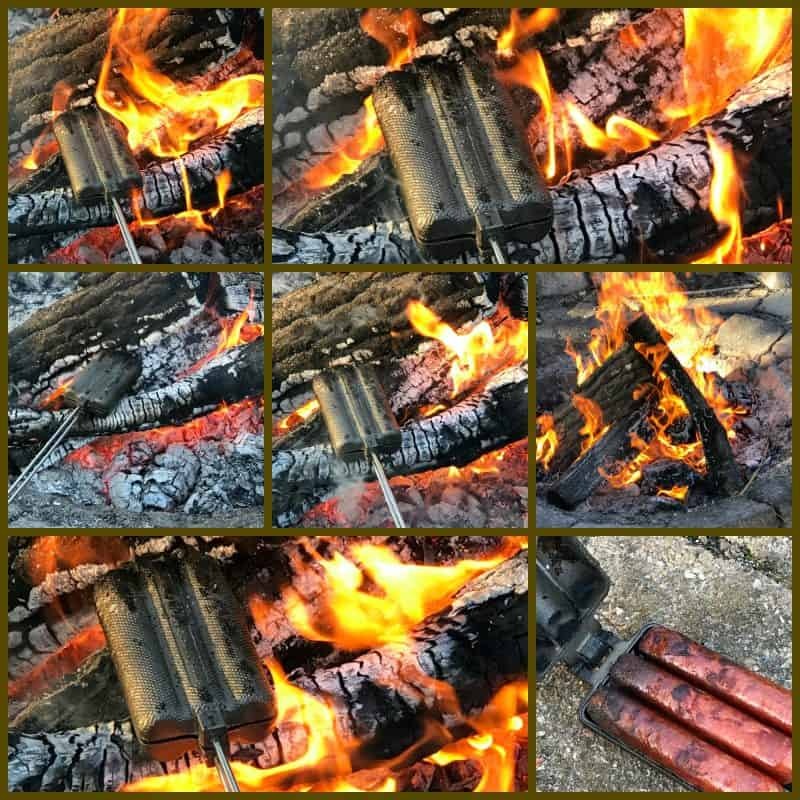 What the pie iron really does is bring family and friends around a campfire to enjoy easy to cook snacks in a fun way.